Founded in Milan in 1937, Mapei is today’s world leader in the production of adhesives and chemical products for building. Starting in the 1960’s Mapei put its strategy of internationalization into action in order to have maximum proximity to the needs of local markets and reduce shipping costs to a minimum. The Group now counts 71 subsidiaries with 66 production facilities in operation over 31 countries and 5 continents. Mapei has always placed great emphasis on research. In fact, the Group invests 12% of its company’s total work-force and 5% of its turnover in R&D; in particular, 70% of its R&D efforts are directed to develop eco-sustainable and environmentally friendly products which meet LEED requirements. 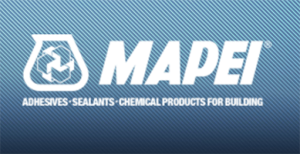 Furthermore, Mapei has developed a sales and technical service network with offices all over the world and offers an efficient Technical Assistance Service that is valued by architects, engineers, contractors and owners.